Following criticisms of a number of election observers and citizens, the presidential office said that consultation have taken place on draft amendment of election law with presidential candidates and political parties. In a presidential press release, it has been said that it was decided that a technical committee with the participation of representatives of candidates, political parties and civil society should be established. Deputy presidential spokesman Shah Hussein Murtazawi said, on amendment draft of the constitution, consultations have taken place with leaders of political parties, candidates and election observers. All the participants submitted their favorite drafts. The coordination council of presidential elections candidates has said that in a meeting in the presidential palace, the members rejected the presidential palace draft on reforms in election law and requested impartiality of the presidential palace on this issue. The council emphasized, we request reforms and want the president to consult on appointment of electoral commission commissioners and their secretariats with candidates. Chief Executive of FEFA Yusuf Rashed said, in a meeting took place in the presidential palace, two drafts were submitted by presidential palace, the first draft had certain shortages but the second one was better. The new work method of appointment of ECC, IEC commissions were inserted in amendment draft and this step of the government was encouraging. 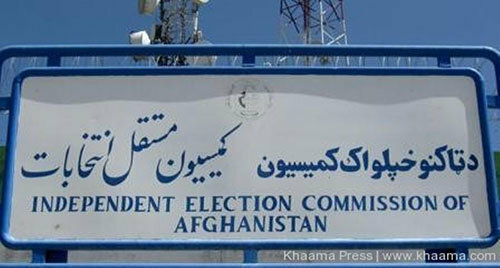 Prior to this, UNAMA had said that Afghanistan parliamentary elections were organized under disorder. And now Afghanistan electoral commissions should undertake essential reformatory measures and focus on realistic and priority based reforms in upcoming months. Taking into account the past elections, now all sides have apparently agreed on bringing reforms in IEC, ECC. Political analyst Amir Mohmmad said, in the first step the voters list should be annulled and a new list be prepared based on Biometric and technology should be used in next presidential elections. Lack of observers access has always been a controversial issue and it should be inclusive in next elections. Assessment of complaints should be frank otherwise based on experiences, lack of observers access would damage people trust to IEC, ECC. But the lawyers said as the parliament can’t amend the election law at the last legislative year, other bodies also can’t. It is generally believed that more precision should be exerted in amendment draft of election law due to sensitive conditions. Otherwise amendment not only doesn’t solve IEC,ECC problems but could cause further problems. Experts said that every reform in electoral system, laws and commissions must take place based on consensus of candidates coordination council and basic. They emphasize that bringing inclusive reforms in electoral bodies is an essential need. Acceleration of changes and reforms improves it implementation grounds. Elections observers said that presidential candidates have the right to be concerned on sound presidential elections but are not allowed to prevent reforms and measures that result in holding of a free, fair and transparent election.